When it comes to the Gartner Data & Analytics Summit, you can say I have collected a bakers’ dozen or so. Adding up BI, MDM and other Summits, in multiple geographies, I must have been to at least that many over more than a decade. I consider myself lucky for the experience. This year, it wasn’t the keynotes that were leading thoughts, although they were entertaining. A great deal of activity spread across sessions by innovative analysts, as well as vendor thought leaders and real practitioners/professionals including active Chief Data Officers (CDOs), led the way. 3,500 strong we’re told, attendees filled the Gaylord Texan and surrounding hotels. I saw much less #GartnerDA Twitter activity this year, perhaps just part of the slowdown in that platform—or too many vendors pushing (and retweeting incessantly with bots) similar messages. The Summit is now fully four days, starting Sunday afternoon with Cindi Howson’s BI Bake-Off and wrapping up just after noon on Thursday. That feels a bit too long to me, and there was significant drop off Wednesday afternoon and evening, as that night had no evening plans. Still, attendees I spoke to felt lucky to not be in Las Vegas (no offense), and were nonplussed, for the most part, that the Data & Analytics Summit moves to Orlando, Florida next year. Let’s face It, most of us rarely see the outside of the hotel, much less get to explore downtown! This year, there were also non-Gartner, non-technical speakers on the agenda. This is good as for many of us, Summit is one of the biggest conferences we attend in a year, with a lot of history – where we get to see our contemporaries, enjoy catching up, and reflect on the personal and professional growth since this point last year. Having some of these inspirational and personal improvement type speakers is a nice touch. As much as we all loved Frank Buytendijk’s jovial manner (the man is an inspiring presenter), enjoyed this to the fullest. inspiration, respectively. Both best-selling authors with books translated in many languages, read by millions. While I hadn’t heard of either before, I plan to follow both of them via social, etc. going forward. 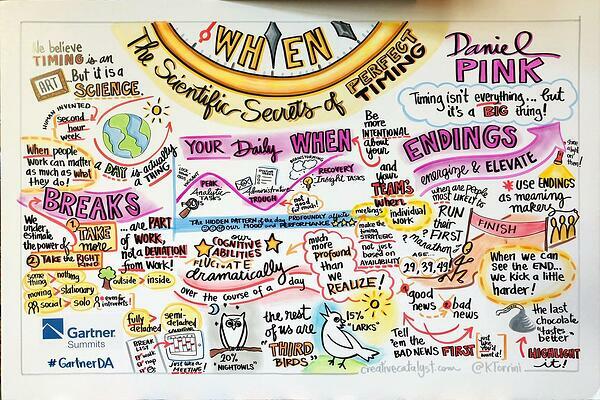 So, if you can align your daily activities and your body clock, you could unlock more productivity. Some studies, cited by Pink, showed that 20% of the variability of performance was attributable to this alignment! I know I am rethinking my agenda over the next weeks. 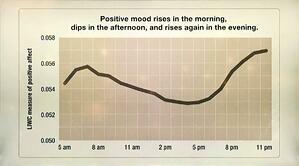 Further to this, the science of taking short breaks throughout the day is starting to solidify. Although we've known about this one for many years - the session served as a great reminder that this is an easy way to be happier, healthier and more efficient every day. For myself, I know it’ll be hard to balance the time zones – but to choose wisely how I spend the choicer parts of my day, where I am at my most consultative, analytical, or creative. Move in the conversation, as while this conference gets more centrally focused around the CDO, the persona of CDO itself is not over-emphasized. The rise of the CDO is, of course a constant theme there. Big data is dead… Gartner analysts like Donald Feinberg can barely bring themselves to SAY it. They never really liked it in the first place and had predicted it’s decline for some years. It’s non-coincidental that as they control the agenda, they have buried the big data thread themselves (self-fulfilling prophecy). 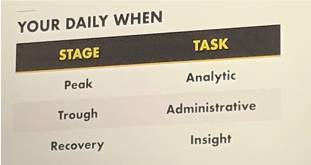 That said, vendor-sponsored content certainly followed suit, and I was pleased to see all but a few vendors with Solution Provider Sessions (SPS) do a good job of featuring a key client to tell the story for them. Those that didn’t do so were punished accordingly --- attendees in those sessions seem to wait a reasonable amount of time – maybe 5 minutes into the presentation – to determine that there’s no practitioner or professional speaking on behalf of the vendor to break for the doors. They’re certainly not rude about it, and right to do so. As a sponsor, you can only imagine the frustration of working hard to cultivate client relationships, busy professionals who then have to work the non-trivial task of time off and permission to speak (Hello, who wants to talk to the Corp. Comms Team at their Fortune 500 Org?) to fuel those sessions. 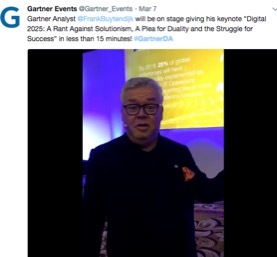 To that end, Gartner D&A Summit Attendees are savvy enough to know that if you say you have scads of big clients but can’t get a-one of them to come speak on your behalf, you may be overselling your wares. Buzzword Bingo continues – There are two schools of Gartner Analysts, one could say. Those that feel their role is to report the news, and those that feel they should be making the headlines. I’ll let you come to your own conclusions on which is which or who are who in that capacity. Perhaps that is what “bimodal” is about as a Gartner Client, Follower or Devotee. 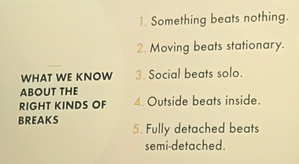 Mode 1, the reporter and scribe; Mode 2, the “create markets and segments” folks. That said, it’s probably irresponsible to throw out catchy one-liners like “Data Catalogs are the New Black.” What would that mean, anyway? It’s the one thing I must have in every style and season in my closet? ...Really wanted to get to this one, hopefully will in London! G10 - Cortana, Siri, Alexa and Friends: Welcome to the AI Conversation! ...Heard good things, and Svetlana Siclair is great – hope to catch in London! I11 - Who Killed the Database (and Most Other Data Management Conventional Wisdom)? ...... Donald Feinberg and Mark Beyer are the smartest guys in database, and I love getting the low-down from them! Ted Friedman, who I mentioned previously is also a treat to listen to and learn from! So much of what we think of as being "from Gartner" has come out of the mouths of these three people over the last 10+ years. This last session was a bit of a where we are and where we're going, I would suggest that any CIO or IT Executive signing a check would be well-served to listen carefully. If you went to the Summit and didn’t preview the agenda in detail, it was a disservice. Checking each session, and the full presentation material (mostly) makes each one more useful. To their credit, Gartner presenters add a great deal over and above what you read there – but it’s a great way to get an outline of the discussion. I am grateful to also be participating in the Gartner Data & Analytics Summit UK, in London, later this month. Free passes are available from Semarchy, on a very limited basis. Pleased to be joined by my recent article co-author Douglas Silverstone from Thames Valley Housing. 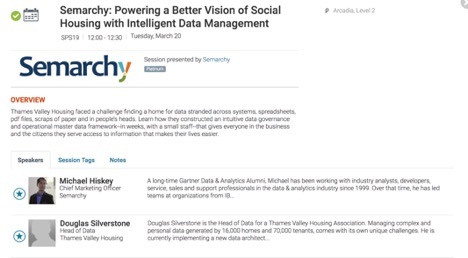 Our Session, “Powering a Better Vision of Social Housing with Intelligent Data Management.” TVH faced a challenge finding a home for data stranded across systems, spreadsheets, pdf files, scraps of paper and in people’s heads. Personally, I thoroughly enjoyed the sessions from Andrew White and Ted Friedman (mentioned above)– who are always crowd-pleasers. The sessions I attended from them were almost always standing room only. 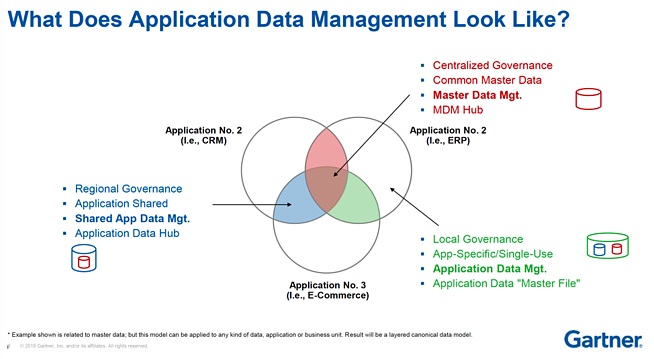 Here, the discussions of interest including the burgeoning strategy around Data Hubs, and a new segment highly correlated to Master Data Management (MDM) White referred to as Application Data Management (ADM). 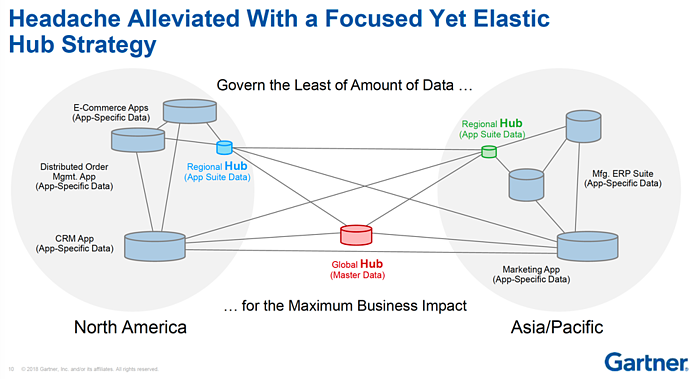 Data Hubs can be logical and/or physical. They are not about transactional storage, but rather for mediation (enforcement) of information governance and sharing policies. They are to be good at reconciling top down and bottom up, as well as inside-out and crowdsourced data. ADM was called out in the jovially-titled “To the Point: What's Wrong with Master Data Management? 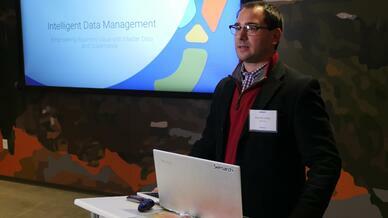 From MDM to Application Data Management,” also posited by Andrew White. There, as he described MDM’s descent from the board room to the basement, he called out a new area that seems to have a great deal of promise in ADM. Application Data Management is a technology-enabled business discipline designed to help users manage and govern the application data required to operate a specific business application or suite (i.e. CRM, ERP or SCM). This could include MDM type things, and has the same technical capabilities, and could be thought of as "managing app data for use in an app" (paraphrasing very closely here, so all credit to Gartner and White). Andrew White was the first person I know of to formally call out “Master Data Management” as a thing, separate from the other database things that existed. Or, he’s to at least be given credit for the appropriate capitalization that made MDM a TLA of the day, circa 2006. Subsequently, mega-vendors made MDM a must-have, and competed to acquire some of the start-ups of that era. Those solutions now live on, somewhere underneath layers of marketing and sequential acquisitions, alongside home-grown MDMs that started internally in those software vendor organizations. Given the above history, I would watch this space. It will be small wonder that multiple organizations will call their solutions an ADM, and the definition is likely to morph a bit before it settles. In full disclosure, it was a bit of a prescient moment for the Semarchy Team, as some of our clients have certainly applied our xDM solution in the manner described as ADM. Moreover, as xDM is an intelligent data management platform that performs the capabilities typically associated with Data Governance, Quality, Enrichment, and Workflows—in addition to MDM—I have been struggling to explain that why we certainly don’t compete with silo-type vendors of the above-referenced capabilities, in addition to Data Catalogs and Metadata Management Tools, an organization fully utilizing xDM would likely have little need for them. You can expect me to be vocal on how the Data Hub is best utilized, and plainly call out the “posers” here, with all due respect to friends, colleagues and competitors. In the meantime, I hope to add to the dialogue again after the London Summit (March 19-21 at the O2 Intercontinental), expanding the breadth of sessions on which we can form a meaningful dialogue. If you’re there, look me up! Michael Hiskey is a long-time Gartner Data & Analytics Alumni, as well as a columnist, writer and speaker on the subjects around data and analytics, as well as GDPR and the rise of the CDO. Michael is also the Chief Marketing Officer at Semarchy. He lives in New York, with one current, and one future "Women in Tech." He holds an MBA from Columbia Business School.